The second season of Greco-Roman competition for Williams Baptist College athletes is officially about to begin. 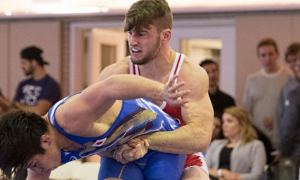 Starting tomorrow in Colorado Springs is the 2019 Dave Schultz Memorial, one of only a few domestic tournaments held each year. As can be viewed in this past Monday’s Roundup, WBC is not bringing a full boat of wrestlers to the event, but there may be more than were originally listed. 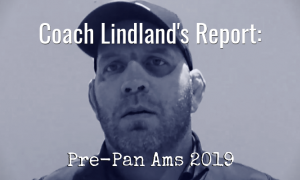 At the time of this discussion, Williams head coach Jonathan Drendel informed that several athletes were awaiting the arrival of their UWW (United World Wrestling) licenses. Should those licenses become available, then it would seem a couple of extra WBC studs are likely to compete. It’s a situation that harkens back to the fall of 2017. 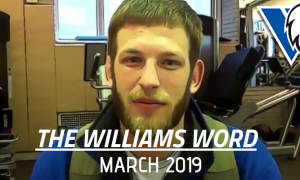 That anomalistic fall edition of the Dave Schultz was originally supposed to serve as Williams’ first major Senior event. But a similar issue regarding licensure wound up resulting in the school’s absence from the event. A little over a year later, all we know for sure is that there will definitely be a WBC presence in Colorado Springs, we just don’t know to what extent. 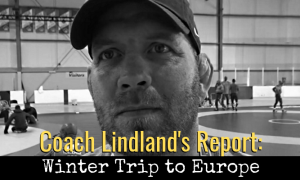 In this Williams Word, Coach Drendel speaks to the circumstances surrounding the Dave Schultz tournament, the training plan that follows, and his philosophy on strength and conditioning. 5PM: As of now, what is your team’s status for Schultz, how many guys are you bringing? Coach Jonathan Drendel: Right now, we have four on the roster who are going. We hope to get some UWW licenses in time, a couple of guys have kind of been behind the gun getting finances together to purchase those licenses. We’d like to bring as many as eight, but on the off chance we can’t get some of those (licenses) in, it’ll likely be closer to four. 5PM: Last year, this was supposed to be WBC’s first authentic major event and it didn’t happen for similar reasons. But this time around, it is happening and it’s the first official competition of the year for most of your guys. We’ve talked before how you prepare your athletes as competition approaches. Now that we’re days away from an event, what have you told them to expect given the nature of how this event normally rolls? JD: The big thing I have been talking to them about is focusing on the end goal. We’re wrestling in this tournament so we can be ready for Nationals, so we can be ready and get qualified for World Team Trials. That’s the end goal. We’re coming here so we can get ourselves on the mat, get some experience, try out our technique, and see what’s working and what’s not working. Yeah, we want to win. I always want to win matches, we should always want to win. But the goal is to win when Nationals rolls around, it’s not necessarily to be on top at Schultz, it’s to be on top when the Nationals come. 5PM: When this tournament wraps up it’ll be the tip end of January, and that is going to mean another gap before the next event(s). Do you have any plans to fill in that gap? JD: Right now, we don’t really have anything on the horizon. We have some things that we’d like to do. We’d like to wrestle, if possible. 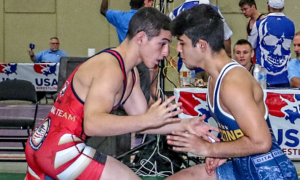 Unfortunately, with no New York this year (Bill Farrell Memorial), it’s harder to get on the mat. We have a few guys who are tossing the idea around of getting some funds together so they can travel overseas. Obviously, with school, it makes it a problem to get away. Spring break is a viable option for a lot of guys to go and compete somewhere. But there is also the option of sending them to a different club to get some different experiences, sending them to places where they can get matches with other guys whether that’s at Northern Michigan, an RTC, or out in Colorado. Whatever we can manage to get these guys some different experience and different looks. 5PM: When it comes to the general experience level for most of your guys, you wouldn’t want them to just jump into a competition somewhere far away, you’d need a training camp attached to it, right? JD: Yeah, I am a big believer in the training camp. I think a lot of times you take away more from that than you do a tournament. Especially since if you go overseas and lose first round, you can be done. That could be it. You spend all that money to get over there and then you’re out after your first match. We need to get more value than that. Of course, they could go there and get a bunch of matches, and that would be great. But again, the goal is not to win at these open overseas tournaments. 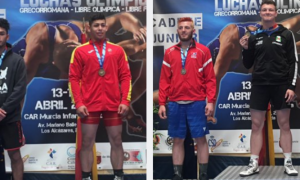 Instead, it is to win at Nationals and the World Team Trials, that’s the goal. We need to get them refining their technique and ready to peak when the time comes. I want them to get beat up a little bit at a camp, I want them to go and face as many opponents as possible, and learn as much as possible. Really, that’s the end game. 5PM: Your guys need as many matches as possible, like you’ve mentioned. But there have sometimes been counter arguments to more domestic events, mostly because of too much familiarity. I am guessing you’d at least be in favor of the schedule that used to be available back in the day, when it was Sunkist, New York, and then when Sunkist’s tournament dropped, the Minnesota Holiday tournament. And then you had Schultz and the rest of the events on US soil. Do you think creating more events held here is almost a necessity at this point for the program? JD: Yes, absolutely. We are not folkstyle. We are a different sport with different training. We almost train more like MMA. But the reality is that our young guys need experience. You look at the collegiate level, when these guys transition from high school to college they get better quickly — because they are forced to. They get thrown into the fire of a grueling collegiate season. They get a lot of matches in and they get better quick. I think our young guys would get better quickly with more experience. When you get older and you have more experience behind you, you can pick those competitions a little more carefully. But we have to get our guys on the mat and get them wrestling. This is what they do. And when there’s nothing to look forward to for three or four months, it’s difficult to keep training hard consistently. 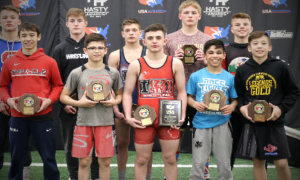 They need to have something on the horizon where they can 1) go and get on the mat and get some experience, and 2) just go have fun doing what they love to do. We are in this sport because we love to compete. Training is hard, training is grueling, especially at this level, and they need to see what’s working and what’s not working. They need to have that joy of going out on the mat and battling somebody. They need that, that’s what these guys love. And we need to keep that love going in their training or they are going to get burned out the longer and longer they’re in the sport. 5PM: Do you have a preference for Greco conditioning? Some stray away from weights and circuits and depend on doing a bunch of lifts and arm throws, they count that as much a part of conditioning as they do technique. Others have a full-blown strength training program. How do you approach conditioning for Williams athletes, especially due to competition being so spread out currently? Coach Jonathan Drendel: I tend to have a pretty balanced view on conditioning. I believe we need to condition by doing wrestling drills. I think that’s good conditioning for them, to have a body that’s moving around. Sometimes drilling is harder than going out and running sprints, but I think sprints are necessary, as well. You can use those to compete against each other, racing people in sprints can really push you. I think even playing games can be good conditioning. Sometimes, guys will work harder playing a game than they do sprinting (laughs). Not all the time, but these guys are competitive and like that sort of thing. I think we need both. I think it’s good for them to come in and see how fast they can hit 100 arm drags, 100 bodylocks, or 100 guts, something like that. But at the same time, they need conditioning that they’re not necessarily used to, like sprinting with a bag on their backs or running hills. So I would say I have a pretty balanced view on things, whatever we can do to expand the lungs while also really pushing the muscular endurance, as well. Follow the Williams Baptist Greco-Roman team on Twitter and Instagram.